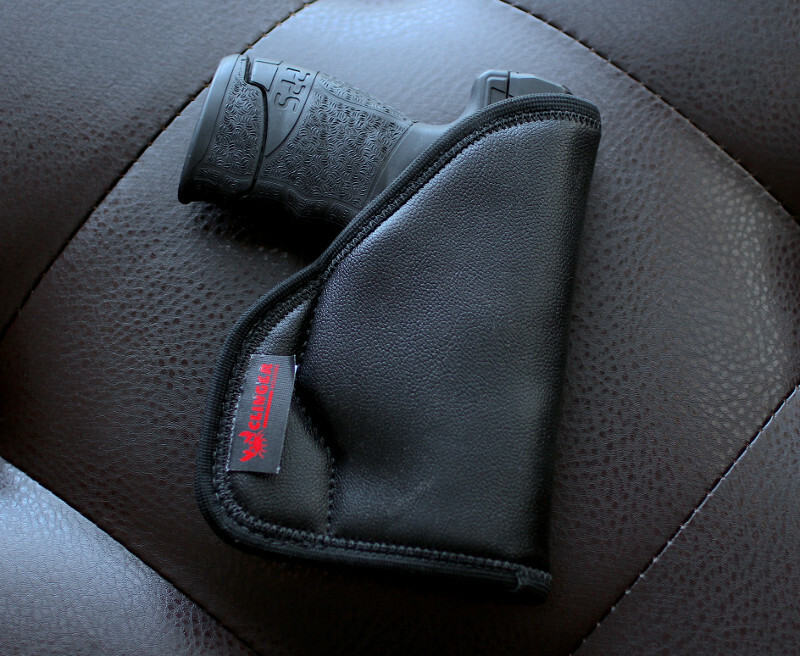 The best Glock 26 clipless holster you’ll find is the Comfort Cling. 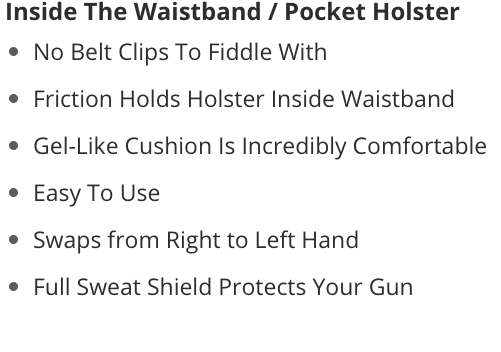 Clinger Holsters designed the best clipless holster because of a few key reasons. First of all, you want the holster to make your G26 comfortable to conceal. 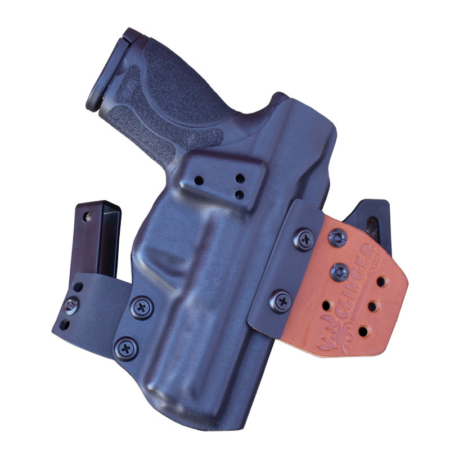 Secondly, you want to ensure that the holster is grippy enough really stay put in your waistband. 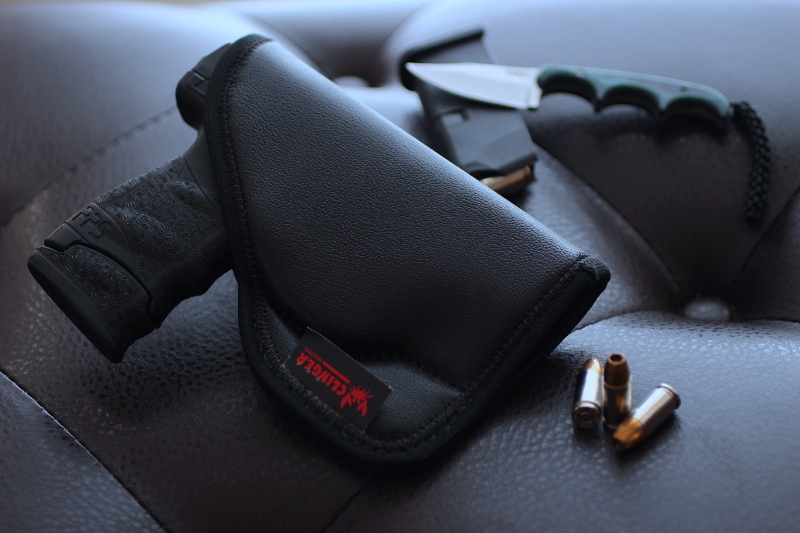 Last, you should expect your holster to last longer than a few months of hard use. 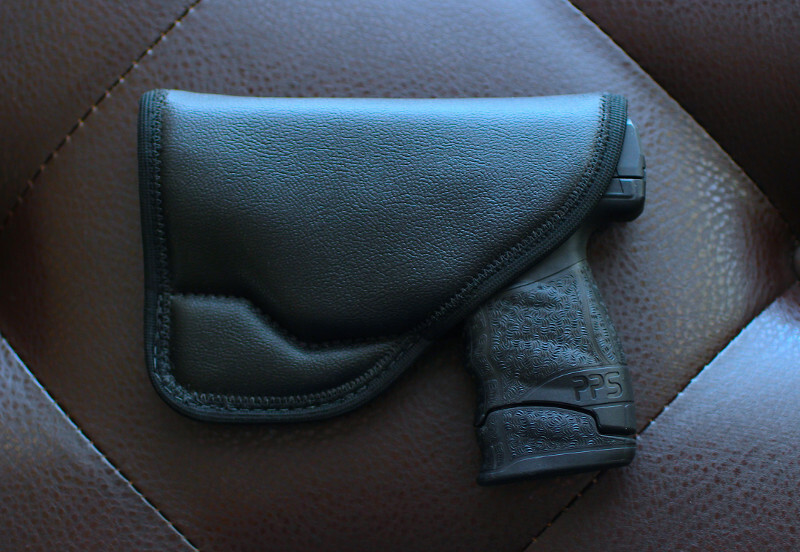 This is the most comfortable Glock 26 clipless holster you’ll find because we use a gel-like cushion between the layers of this holster. 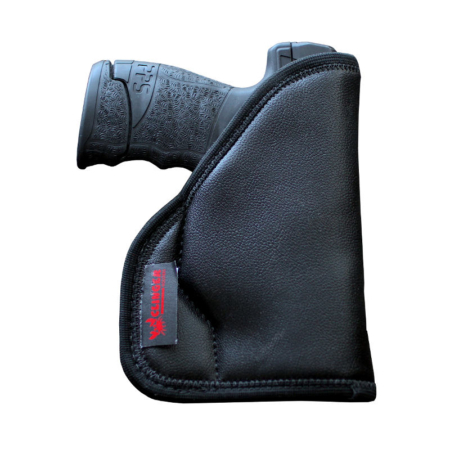 If you haven’t found any comfortable Glock 26 holsters yet, try this holster. However, there are other reasons than just comfort to try the Comfort Cling. The outer layer of the Comfort Cling is extremely grippy. Hence, it doesn’t need belt clips to stay in place. In fact, some say it works better than a traditional holster. 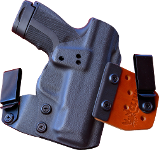 Because this Glock 26 clipless holster doesn’t need belt clips, you get many more cant and ride height positions than you could with a traditional holster. 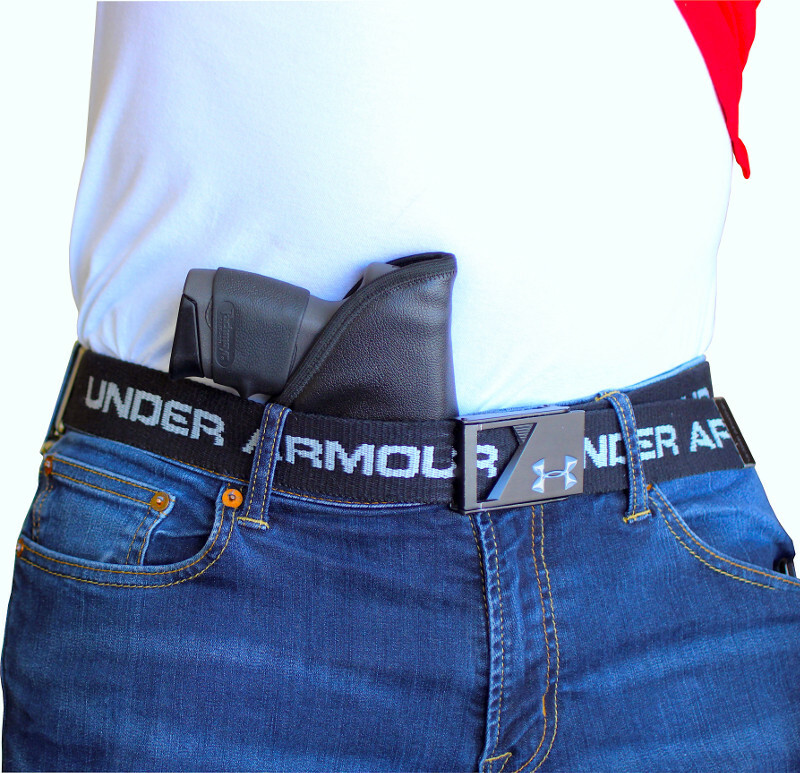 You can literally wear this holster anywhere you wish around your waistline. Plus, you can use a high ride height or a low one. Additionally, you can have a strong cant or not cant at all. You really do get a ton more adjustment options with the Comfort Cling. 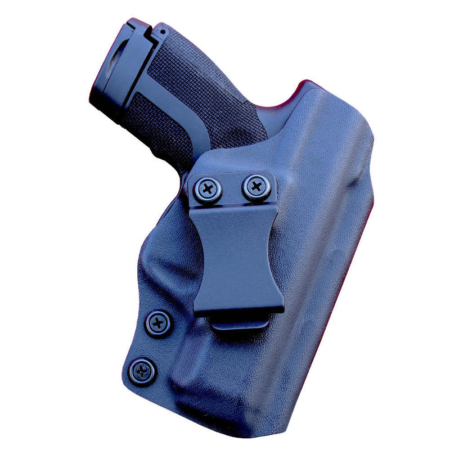 Because the inner layer is a low friction Ballistic Nylon, the holster allows a smooth draw. Plus, it’s a very durable material. Your G26 won’t tear it up. Now, the outer layer is so grippy that it stays in your waistband when you draw out your pistol. 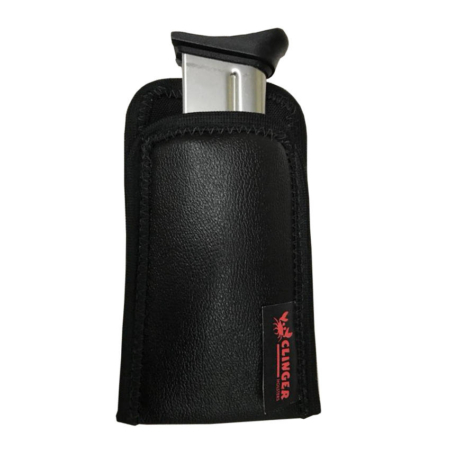 Plus, the outer layer is more durable than other clipless holsters’ materials. 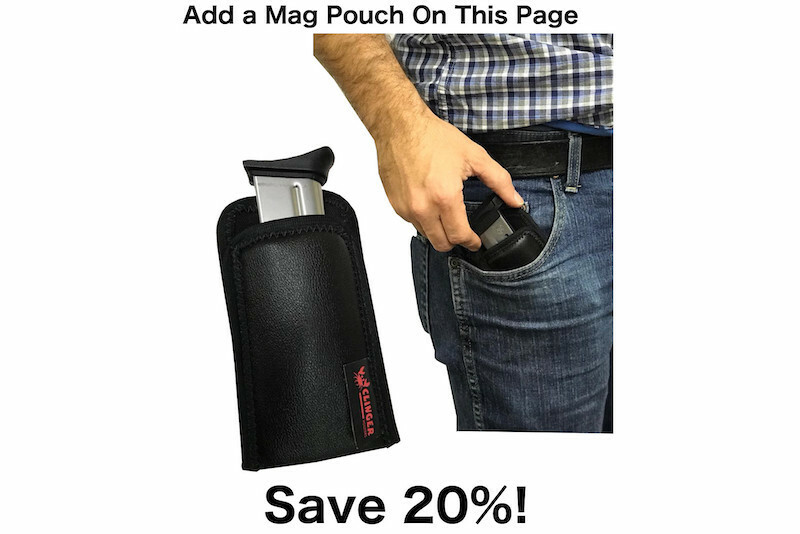 Clinger Holsters designed this holster to last for years. The binding is tough as well. It holds all three layers together. In addition, it’s unique because of its zig-zag stitch. Hence, it is astronomically less likely to grab your Glock’s rear sight. Other clipless holsters use a lazy straight stitch on their binding. 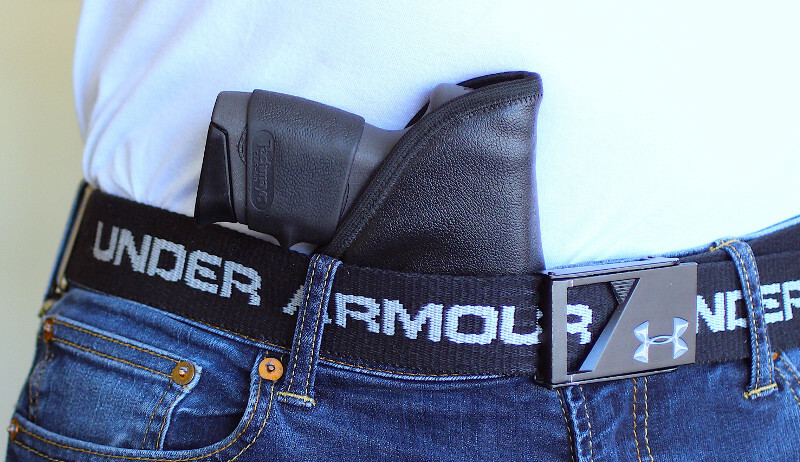 Sure, it’s easier and quicker to build concealed carry gear that way but it’s not better. We use a zig-zag stitch because it pins the binding down enough so that there’s no seam to catch your rear sight. Plus, it’s more durable. 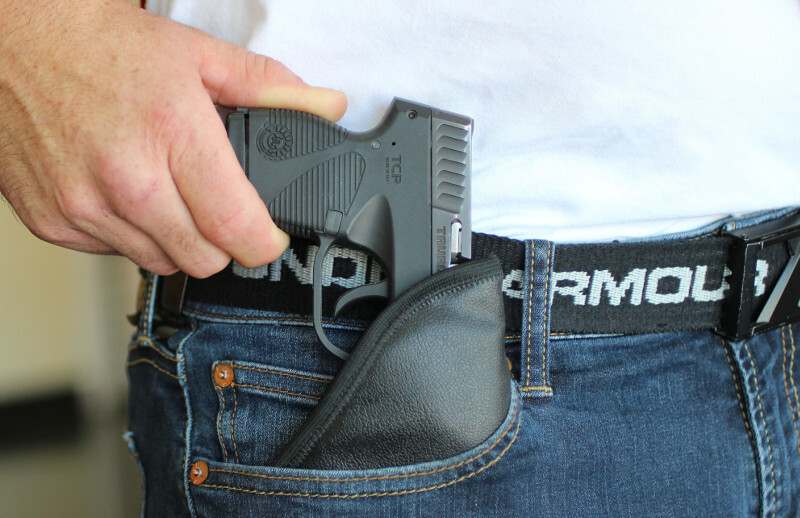 We make all our concealed carry gear right here in the USA with skilled American hands. You’ll appreciate the quality of our gear the moment you take it out of the package. 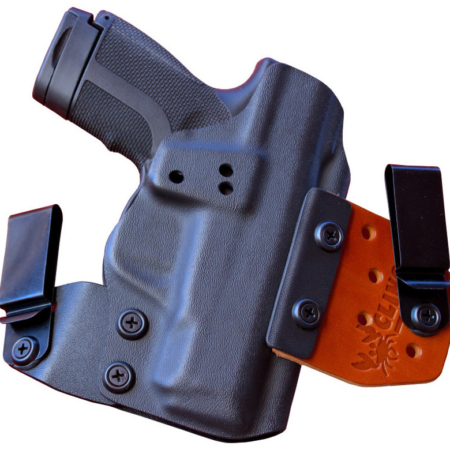 This is the best Glock 26 clipless holster you’ll find.